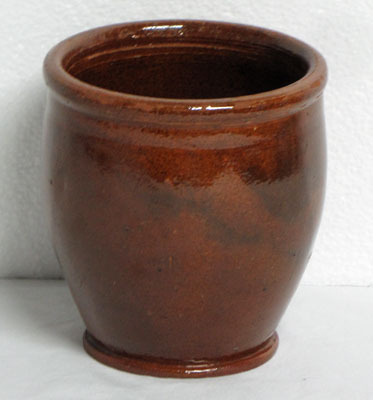 Small 19th century redware jar in perfect condition. Measures just 5 ¼" high, top diameter is 4 7/8" and 3 3/8" base diameter. Will not find one in better condition, there are no chips or wear marks.